THIS BLOG SERVES MANY PURPOSES. THE FIRST IS IT IS A DIARY OF MY EXPERIENCE AS AN ARTIST,ECO ARTIST, EDUCATOR, AND AN ART ADVOCATE. SECONDLY, IT WILL BE DOCUMENTATION OF ALL THE COLLABORATIVE AND INDIVIDUAL PROJECTS THAT I AM INVOLVED IN. THIRDLY, HOPEFULLY IT WILL INSTIGATE A CONVERSATION WITH LIKE MINDS I.E PHILOSOPHY, METAPHYSICS, WORLD TRAVEL, SACRED SITES, SOCIAL CRITIQUE AND OF COURSE ART. "I give up." O' Siri that Breaks my heART! Project Description: For 30 days, I will ask Siri on my iphone “What is the meaning of life?”From her response I will create Art around it. 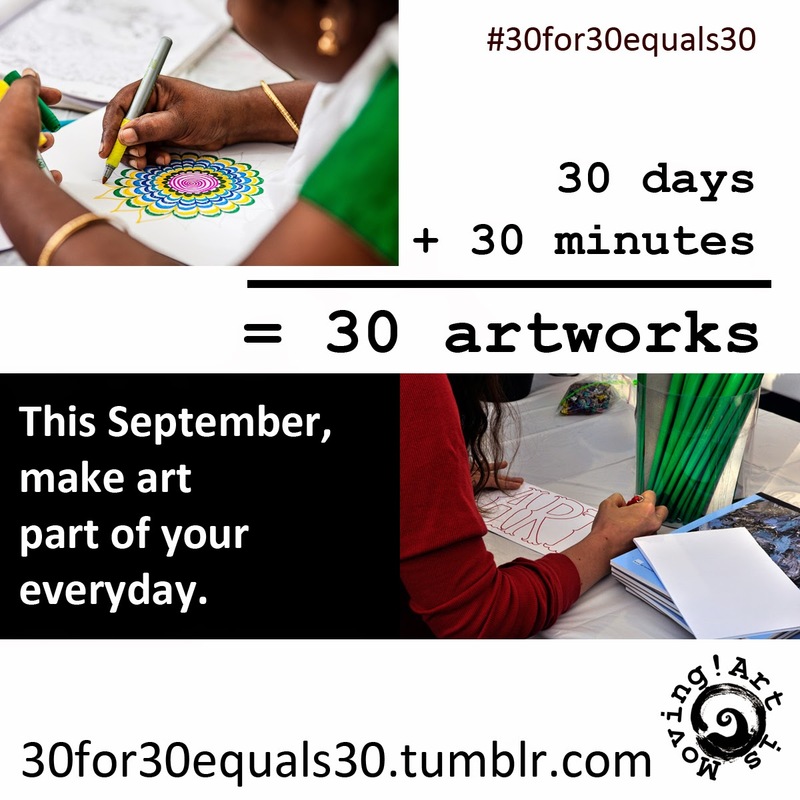 #30for30equal30 is Art is Moving's sweet way to activate art and creativity in your life as a daily practice. 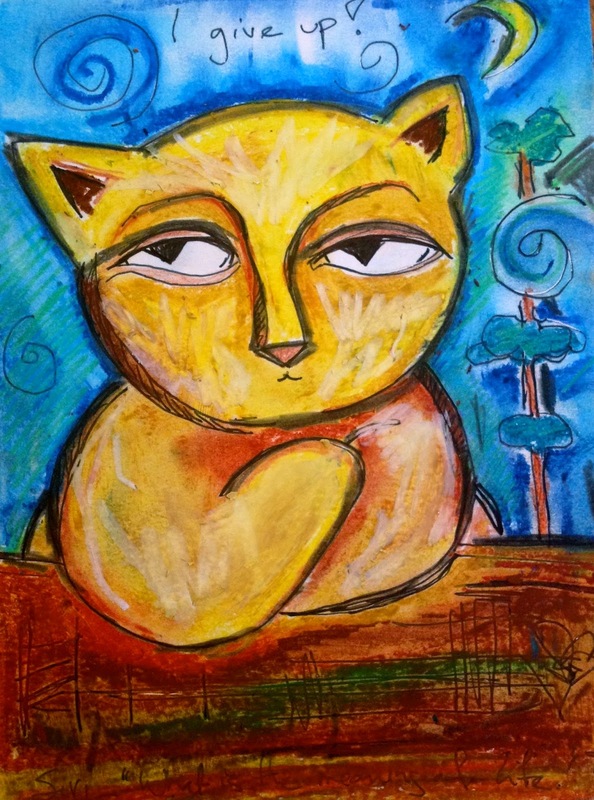 It is a child of our epic one day global Arts Advocacy Day, Art Break Day. What are your ideas for this month long Artathon? Mine is kind of fun and quirky. I am by no means a techy, but I just activated Siri on my Iphone. In my idle time, I like to ask her questions, like "what is the meaning of life?" This my inspiration my 30 day +30 minutes = 30 artworks experiment. Each of the 30 Days I will ask Siri, "what is the meaning of life?" Her answers (which she does answer:) ) will be my jumping off point for my art making. I have no idea what the art will look like. That is the fun and the mystery! We invite you to join in on this challenge! Tell us what your inspiration will be for #30for30equal30! In the comments below. To coincide with our yearly Art Break Day celebration every September, we invite anyone and everyone to partake in our 30x30x30 challenge. I am an award winning Transformative Artist, Educator, Creative Coach, Curator, Author, and Muse. As well as I am the Co-Founding Director of the Non-Profit:Art is Moving and Art 4 All People LLC. Also, I am a world traveler and a sacred site enthusiast. My world view is animistic as much of my work is about the exploration and dissolution of the edge between spirit and matter. Great book to take your Art career and business to another level!! This blog also includes a dialogue and a documentation about my site specific earth art series. My vision is to create this art around the globe. Forming a web of connection between the art, viewer, artist, and Nature. The Art Break Day Spectrum: No Site is too large or too small! "Siri, What is the Meaning of Life?" 42. "Perhaps the only limits to the human mind are those that we believe in"